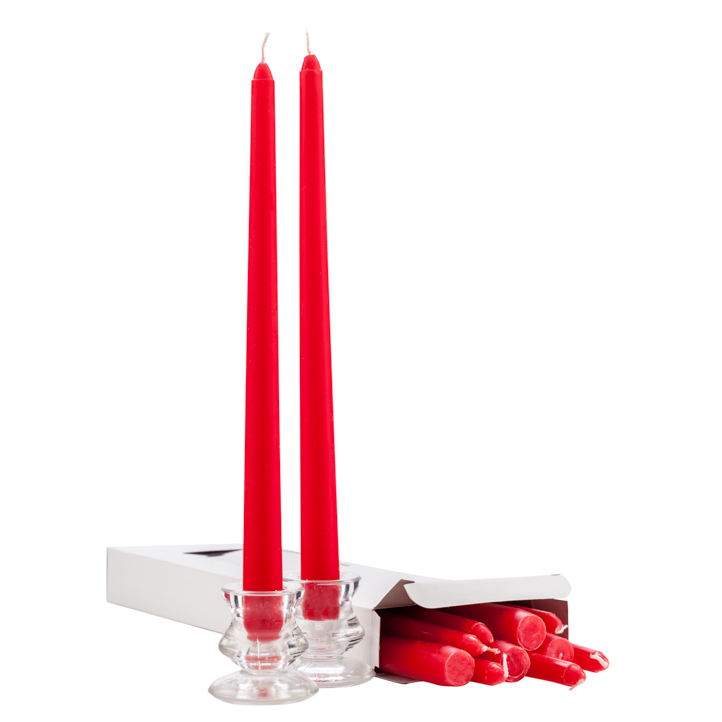 Wholesale case of taper candle holders. 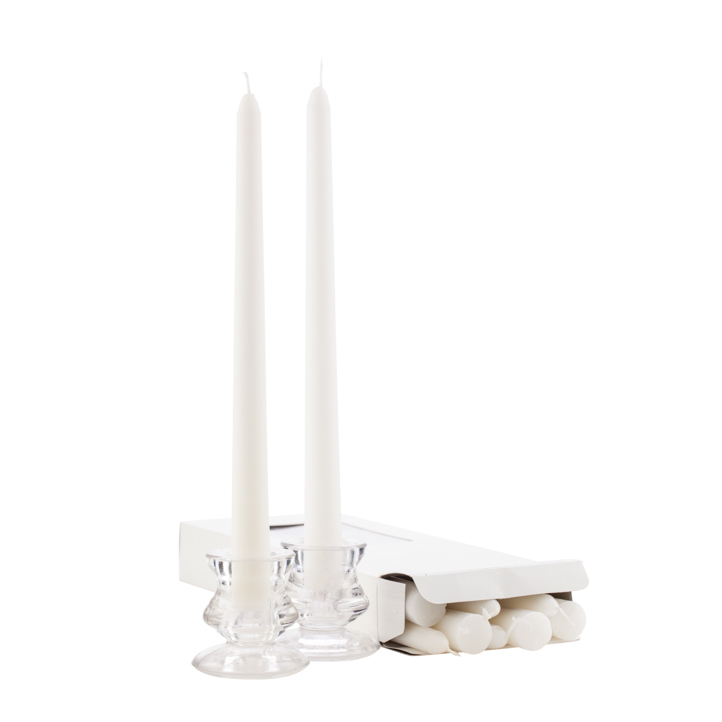 Each case of glass candle holders has 48 boxes of a pair of glass taper candle holders. (96 taper holders to a case). The box of candle holders measures over 4 inches long, by 2.5 inches tall by 2.25 inches deep. 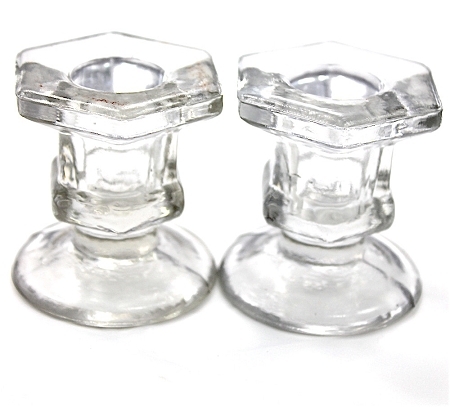 Each glass taper candle holder is 2.5 inches tall by 2.25 inch across. 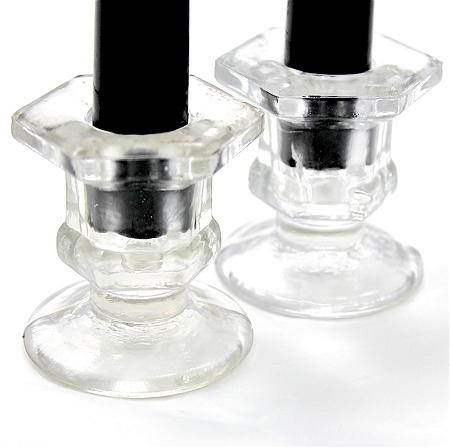 These glass taper candle holders will hold a standard taper candle, they work excellent with our taper candles.